Beating out four other regional winners, UVU’s Culinary Arts Institute director Todd Leonard was named the 2018 National Chef of the Year. Accompanied by his two student apprentices AnnaLis Nielsen and Lydia Harris, the trio competed at the American Culinary Federation’s national convention held in New Orleans July 14-19. With only 90 minutes to prepare a four-course menu, Leonard and company utilized every last minute to ensure their dishes were exquisite. 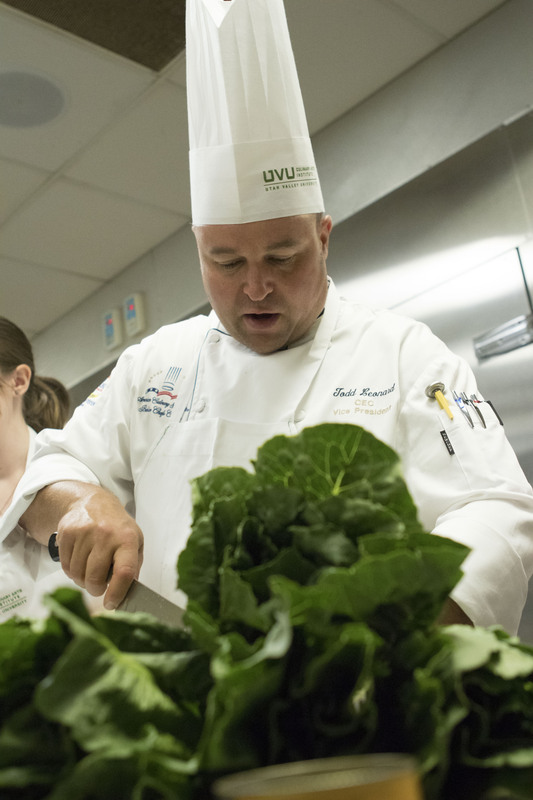 UVU News reports that the judges, all of whom are master chefs, compared tastes, presentation and sanitation skills in determining the competition’s winners. Leonard’s winning menu was comprised of four courses made from various fresh ingredients including pork cheek, bronzed redfish, cayenne butter, and various vegetables. He says that while winning this award is quite the accomplishment, seeing the hard work of his two apprentices is the real prize. The award winning chef also emphasizes that achievements like this are a result of the department’s dedication to student success. Chef Leonard’s past awards include eight American Culinary Federation gold medals, the 2006 and 2010 Utah Chef of the Year awards, and the gold medal for the Western Region Chef of the Year competition in 2011. According to his official website, Leonard got his start as a busboy, and eventually worked his way up to become a certified executive chef. Even though he has won this nationally recognized award, he says there are still things he wants to achieve. “My goal is accomplished, but my life isn’t over,” Leonard said. He has worked at a handful of Utah’s premier dining establishments, including Royce’s Restaurant, Carl’s Café and Oakridge Country Club. He is currently the director of the Culinary Arts Institute at UVU, executive chef for Thrive Life and an active member of the American Culinary Federation.